Jan & Jan of PARAGON want you to be in front of stage at their show at the Bang Your Head 2017! Here is another live review of our show at the Metalheadz Open Air at for our German speaking fans (or the Google translator!) at Metalunderground.at and here are cool photos of the show. Check out this live review of our show at the Metalheadz Open Air at the page of the German magazin Rock Hard(in German). Anmerkungen: Finally we are back at the mighty BANG YOUR HEAD! Aeons ago (1999) we played the warm up of the festival and since that day we tried to get back on the billing as it is one of the best festival for classic Metal in the whole world. So be there and bang that head!!! 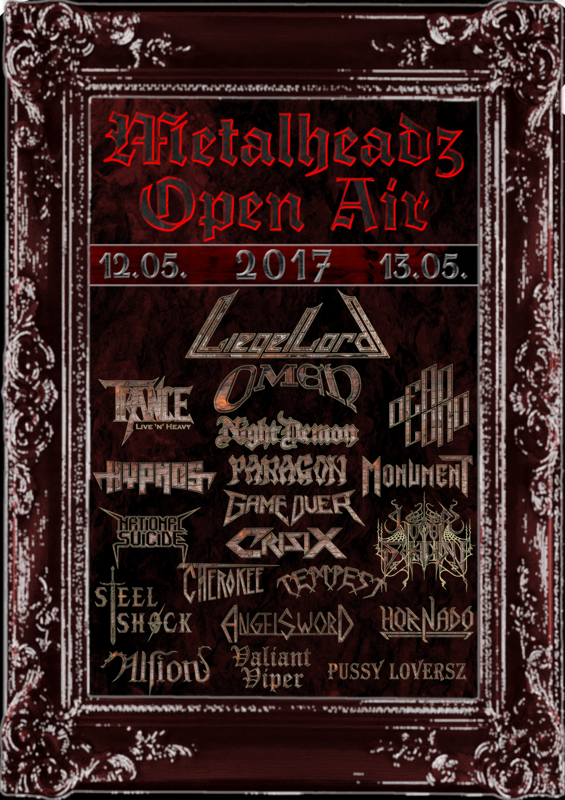 We are really looking forward to play the Metalheadz Open Air 2017 this coming Friday and share the stage with such great bands as Omen, Liege Lord, Night Demon & Lunar Shadow. Our showtime is 19:20 – 20:30. The festival is already sold out, but if you need any infos, check out the official Festival Website here and the official Facebook here. 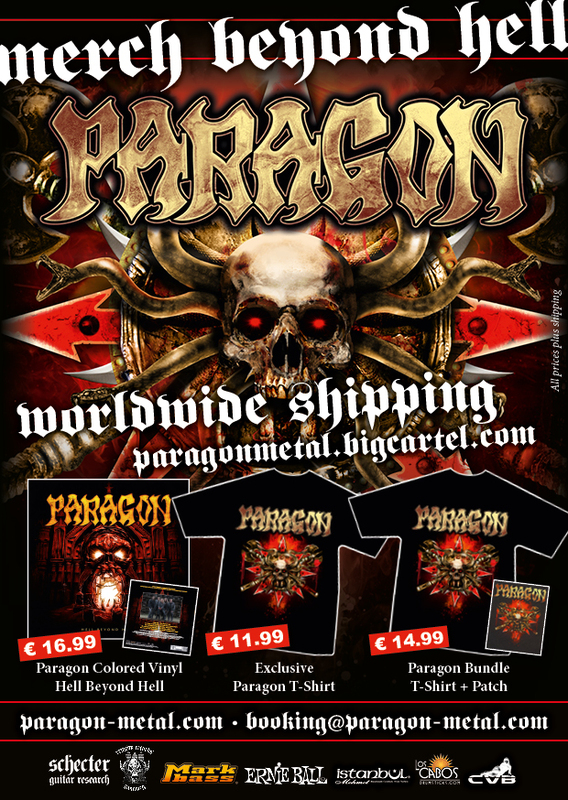 New PARAGON T-Shirts & Patches! Anmerkungen: Finally we return to Itlay with our good friends Airborn and local support from Iron Jaws and Erigion! Hope to meet all Italian Metalheads there! Anmerkungen: After a long time we finally return to Italy together with our good friends of Airborn and support by Myriad Lights. Hope to see all Italian Metalheads there! New PARAGON „Snake & Axe“ Merch available now! Our new „Snake & Axe“ T-Shirt as well as the Vinyl Version of „Hell Beyond Hell“ are available now. The T-Shirt is exclusivly available at our store and our shows. Check out our store here. 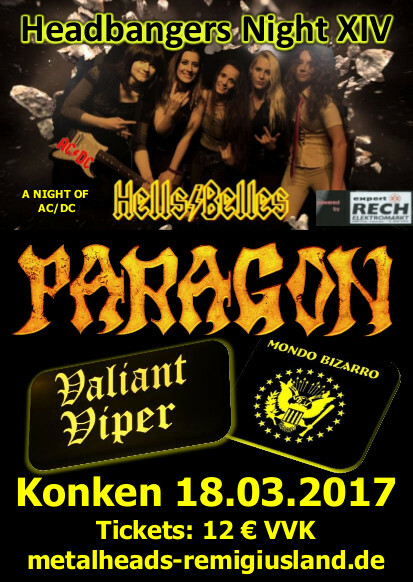 Exactly one year after the release of our latest album „Hell Beyond Hell“ we will play our first show in 2017 at the Headbangers Night XIV in Konken on the 18th of March 2017. We already played the Headabngers Night II in 2005 and are really looking forward to metalize Konken again! Check out the website of the festival here.